A husband works as a successful prosecutor and his future appears bright, but he gets arrested for corruption in a political scandal. His wife worked as an attorney prior to their marriage, now resumes her career after a 13 year hiatus. She begins to find her true identity. 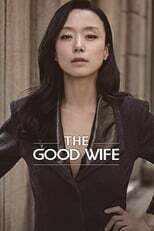 An adaptation of the American CBS TV series The Good Wife.